Contemporary sofa with a massive structure and a bold style,characterised by simple and linear shapes and a beautiful colour scheme. Very comfortable and relaxing, thanks to its soft padding and its comfortable reclining headrests, the Texas sofa presents a finely worked leather and microfibre upholstery. 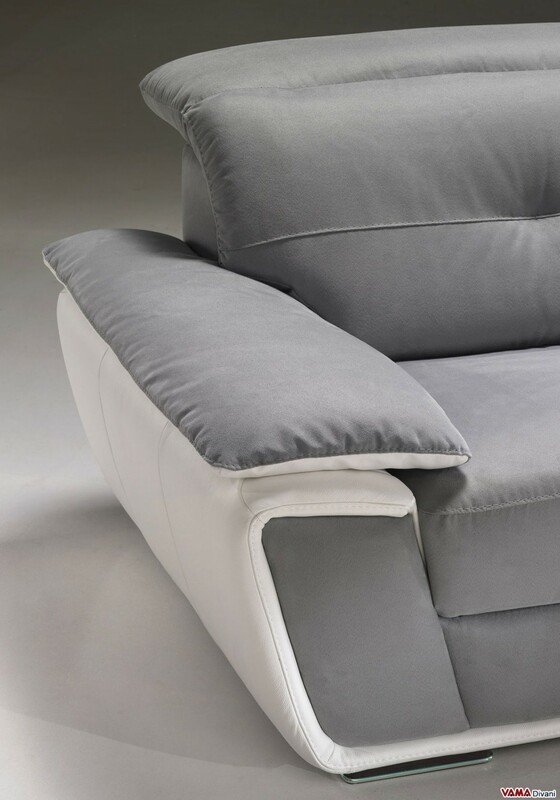 Click here to view to our wide upholstery range. View our colour chart and enter your code below. Enter your features and everything you think is necessary for your order. Leave blank if you have nothing to add. 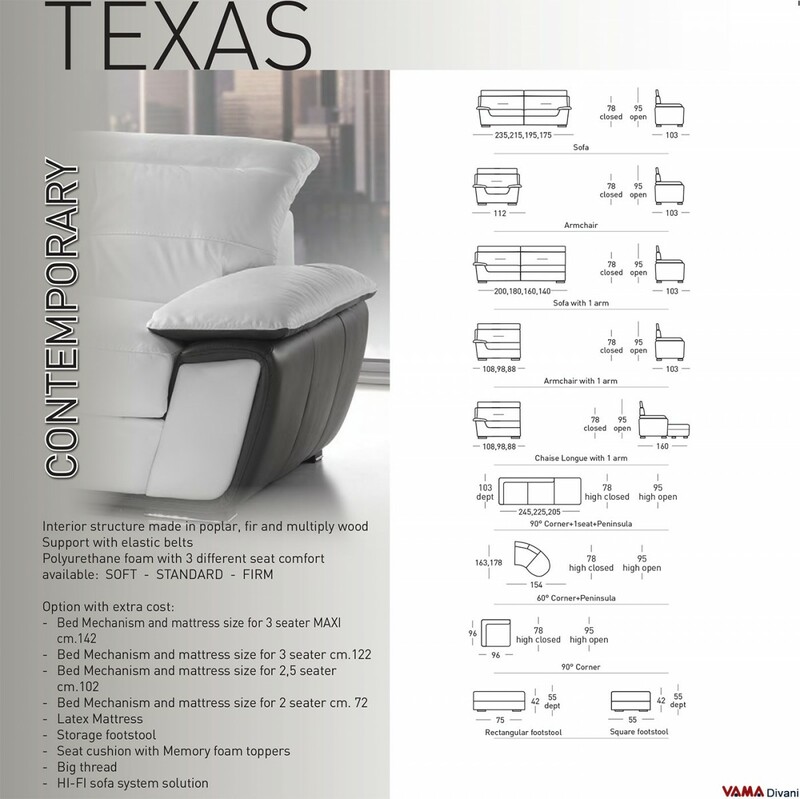 Texas is a sofa characterised by an impressive and very original style, with a strong personality, really perfect for those who want a comfortable sofa, but with a very eye-catching look. This contemporary sofa presents a leather and microfibre upholstery that offers a combination of two different colours. 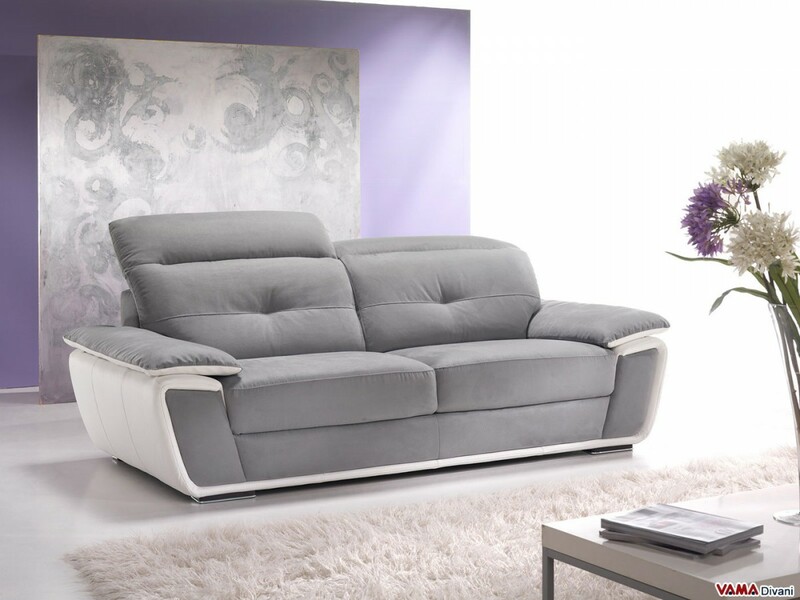 A very pleasant and relaxing model which features a soft padding and adjustable headrests which guarantee the best level of comfort. Some small details, such as its wooden feet in a wenge colour and polished steel finishings and the seams on its upholstery, make this piece of furniture really interesting and by a very pleasant style. 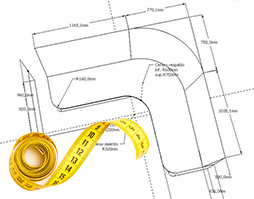 Ideal for living rooms, offices and other indoor spaces and you can ask for the size you prefer!